As The Who traverses North America, each night the band will be accompanied by a local symphony orchestra to back classics from their iconic and historic catalog; and $1 from every ticket sold will benefit Teen Cancer America. And better yet, according to iconic guitar player Pete Townshend in a recent Rolling Stone article, The Who is closing in on completing their first new material in 13 years since 2006’s Endless Wire LP – surely the songs are to be worked out on the road in front of lucky fans as the current demos grow into their final form. 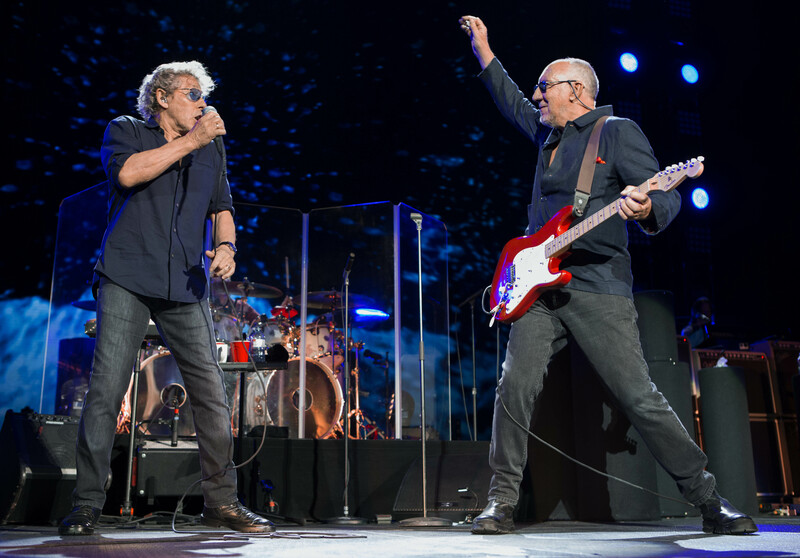 This is The Who‘s return to the U.S. following a Las Vegas residency, 2016’s limited run celebrating the band’s 50th anniversary, and massive 2012-13 tour performing Quadrophenia in full. The touring band supporting icons Daltrey and Townshend consists of guitarist/backup singer Simon Townshend, keyboardist Loren Gold, bassist Jon Button and drummer Zak Starkey. For more information on Fan Club membership, please visit The Who’s website. Be sure to check the individual show page for your desired date / city on Live Nation or Ticketmaster for full confirmation of ticket sale opportunities. * = These venues are not ticketed by Ticketmaster – for more information, please visit the respective venue’s website.